Port Edward is a tourist resort for seasonal visitors from more affluent regions of South Africa. 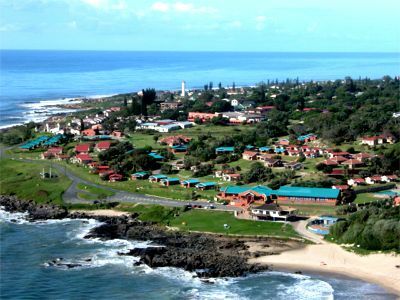 The coastline between here andPort Shepstone to the north is popularly known as the Hibiscus Coast because of its lush sub-tropical gardens. There are many tourist seasons that influence Port Edward but the most significant is the Christmas / New Year period spanning from early December to mid-January. Port Edward's Silver Beach hosts an annual New Year's Eve party frequented by youths whilst on New Year's Day itself, families populate the beach for continued celebrations. Another main season coincides with theSardine run natural phenomenon usually occurring from late May to mid-July. Recently large retail franchises (Boxer Superstores, Shoprite Holdings) have shown interest in Port Edward. With the local economy growing, the town is set for a bright future.